Games and computer use healthy for kids, says reasonable psychologist. 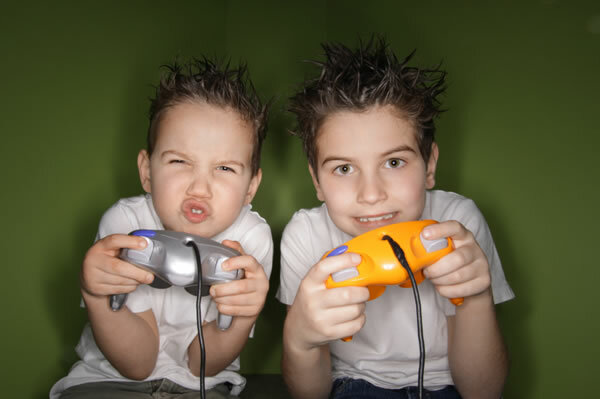 By now, we’ve heard the tired and rather baseless complaints that gaming makes children antisocial and violent. While stepping away from the console (especially for those more formative years) is important, psychologist Peter Gray writes an extended piece for Psychology Today explaining why kids SHOULDN’T have their gaming and computer hours limited- or anything that they choose, for that matter. Such games are, in many ways, like the imaginative sociodramatic games of preschool children, but played in a virtual world, with communication by online text, and raised up many notches in sophistication to fit the interests and abilities of the older children, teenagers, and adults who play them. By the end, the specialist assures parents not to worry and that these habits ultimately serve to benefit young minds. ← FLASHBACK OF THE DAY: Bart Simpson paints the town yellow.